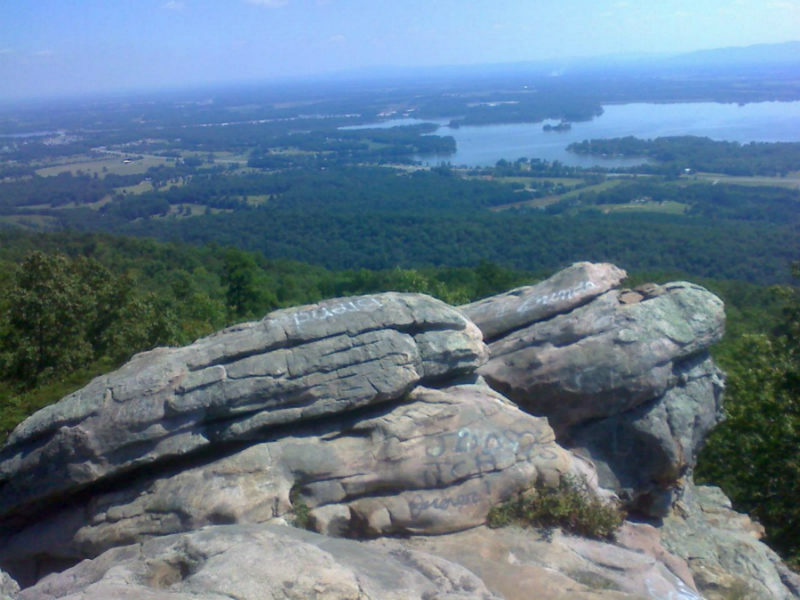 (Leesburg) - Marvel at the view from Lookout Mountain, enormous boulders, natural arches, caves, and trails. One of the top rock climbing spots in the Southeast. 10 minutes away. (Cedar Bluff) - This 1862 cold blast furnace was the first in the county powered by water. The furnace supplied iron ore for foundries in Rome, GA, where Confederate armaments were forged. It is said to be the best preserved furnace in the Southeast. 15 minutes away. (Centre) - Established in 1987, the museum is housed in a former 3-story general store in Downtown Centre built in 1919. The county's heritage is depicted with newspapers, shotguns, wagons, housewares, doll collection, Grand Ole Opry memorabilia, Civil War, World War I, World War II and railroad artifacts. Open Tuesday - Saturday. (256) 927-7835 www.MuseumAtCentre.com 2 miles away. Located at the Cherokee Country Club. Open to the public, the mature 18-hole golf course provides year-round play for golfers. Enjoy the outstanding view of Mount Wisner as you tee the ball up on the first hole and later in the day be captivated by the gorgeous sunset as you finish on the uphill 18th hole. 4 miles away. Enjoy a family oriented outdoor atmosphere and one of Hollywood's new releases. Built in 1953, the theatre's two large screens provide entertainment for up to 800 cars. 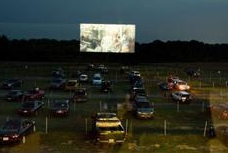 It is one of eight drive-ins in Alabama and one of only 450 worldwide. (256) 927-2855 www.411drivein.com 2 miles away. 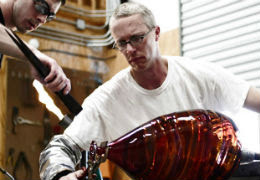 The gallery of nationally-respected glassblower Cal Breed is located atop Lookout Mountain on 26 acres at the edge of Little River Canyon National Preserve. His work is displayed at major galleries and by art dealers around the country and is available in his gallery adjacent to the studio. By special arrangement, a tour can be provided of the studio and furnace. (256) 523-3188 www.orbixhotglass.com 15 minutes away. 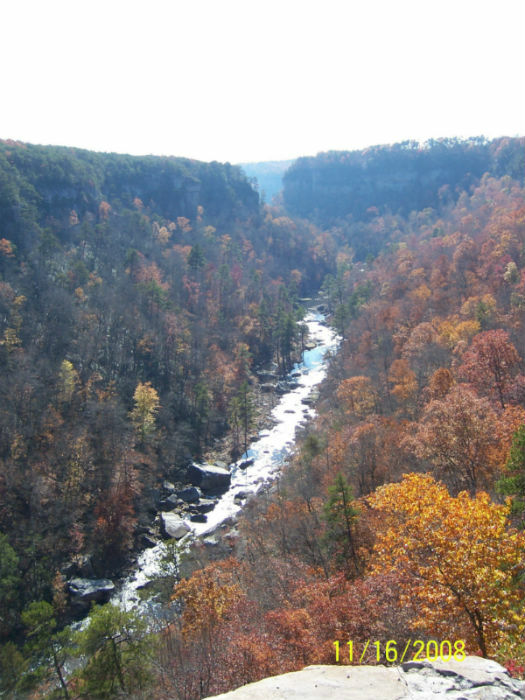 Located on the Little River Canyon rim drive. Home of Tigers For Tomorrow - A rescue facility for exotic animals where life is wild by nature. Call for seasonal hours and tour times. (256) 524-4150 www.tigersfortomorrow.org 15 minutes away. Every Saturday morning - EARLY! Everything you can imagine and then some - antiques, plants, pets, farm animals, tools ....... Don't wait and go mid morning because the vendors start packing up before noon! Spend the night at Bay Springs and get an early start. Only 9 miles away. All day Sunday - 5:00 AM until ...... Over 1,000 dealers display their wares over 97 acres! In Attalla, 30 mins away.